Mammogram is an x-ray picture of women breast which indicate the breast cancer. The other name of mammogram is digital mammography. It is used to identify the breast cancer sign in the early stages so we can find out even before it gets prominent. With the help of mammographic image, it is easy to identify the affected area and recommend proper treatment of the disease. Mammograms don’t indicate the clear sign of breast cancer, but it helps to identify if further tests are needed to evaluate the symptoms of breast cancer. Let’s discuss what the procedure of digital mammography is and how long does a mammogram take. Mammogram is not very painful; it just provides little discomfort to the person. It uses very less radiation which can result into cancer. If you are planning for mammography then you should know the answer of these questions. What will happen after mammography? How long does a mammogram take? when will doctor gives you the result? And when you will have to take a next visit? Mammogram uses a special type of machine which looks through the women breast at the lowest. Normal x-ray machines can’t go through the tissues easily. It gives the better picture using fewer radiations. Mammogram takes 2 images of breast from different angles indicating every tissue of the breast. Two different types of mammograms are used to evaluate the breast diseases; digital mammogram and standard mammogram. Digital mammogram make the picture of breast more clearly indicating slight details in every tissue, it have a clearer image than the standard mammogram. Standard mammogram print pictures on photographic sheets and doesn’t have that digital effects and clarity than digital mammography. Doctor has to work more to evaluate the result in standard mammography while digital mammography gives quick, clear and accurate results. To know how long does a mammogram take let’s see the factors that play an important role in this duration. The major factor affecting the time of mammogram is the method you chose for the mammography. In normal cases, mammogram take around 15 to 30 minutes but for the better results, and clarity pictures from different angles are taken which take around 30 to 45 minutes. 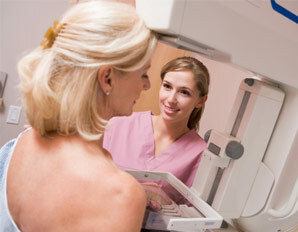 You will the results of your mammography within few days; it depends upon the facility and your doctor. The radiologist is a person who goes through your reports and analyzes the final result. Keep in touch with your doctor to know about your results. The results also depend upon the longevity of the mammographic process and how long does a mammogram take will ultimately give you the clear and accurate result. Longer the process higher will be the chances of accuracy and details. These were some factors affecting the outcome of mammography and also gives the answer of how long does a mammogram take. This article also discusses the methods and purpose of mammogram in detail which will help you to get a perfect picture of mammography and its affects.